US Army MWR :: View Event :: Free Movie Friday! 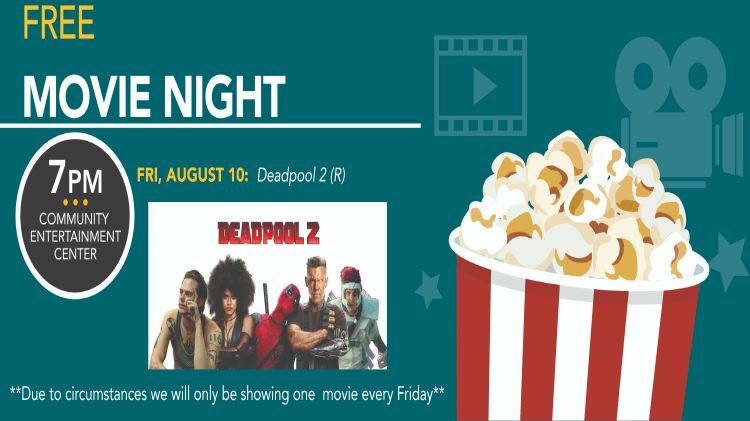 Date: Aug 10 2018, 7 p.m.
Watch a free movie, courtesy of AAFES! We show one every Friday, excluding holiday weekends.